Most retirees make Social Security claiming decisions based on "limited and incorrect information," and many take benefits too soon, CFPB says. The two million consumers who annually choose when to begin collecting Social Security retirement benefits make the decision based on “limited and incorrect information,” which results in them taking benefits too soon, according to a report released Thursday by the Consumer Financial Protection Bureau. To help remedy the situation, the CFPB’s Office for Older Americans released the same day an interactive, online tool, “Planning for Retirement,” to help consumers decide when to claim their Social Security benefits. CFPB Director Richard Cordray said at a retirement event at the Brookings Institution in Washington Thursday that the tool, built in collaboration with the Social Security Administration, gives consumers the information and confidence they need to make a well-informed choice when it comes to deciding at what age they should begin taking their payments. Plug in their date of birth and highest annual work income to see their estimated monthly benefits based on their claiming age, which allows them to see the difference in benefits associated with claiming at age 62 versus age 70. Estimates are based on current formulas from the Social Security Administration, not a user’s actual earnings record. Select different claiming ages to see how the one-time decision may affect them in the long run. The tool shows the estimated cumulative value of benefits by age 85. Consumers can see that by not claiming early, they will get more money in the end. Provides tips to help users consider the relationship between claiming age and other related factors, such as marital status, other expected sources of income, plans for working after age 60, and general expectations of longevity. For example, on average, Social Security replaces 40% of a worker’s income.That means a consumer’s retirement savings, pension, 401(k) or IRA will need to fill the gap. Claiming at the full Social Security benefit age or later can minimize this gap and maximize a consumer’s monthly benefit. If a consumer claims before their full retirement age, their monthly benefit could be reduced by as much as 30%. 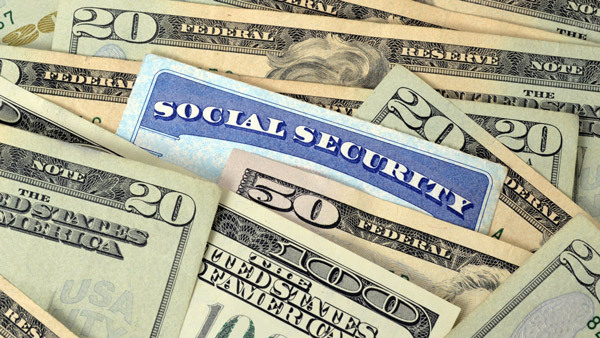 — Check out Claiming Social Security at 70 Can Cost You: T. Rowe Study on ThinkAdvisor.